The Bridge @ Cambodia Phnom Penh is Freehold mixed development consist of shopping mall, condominiums, and SOHO. 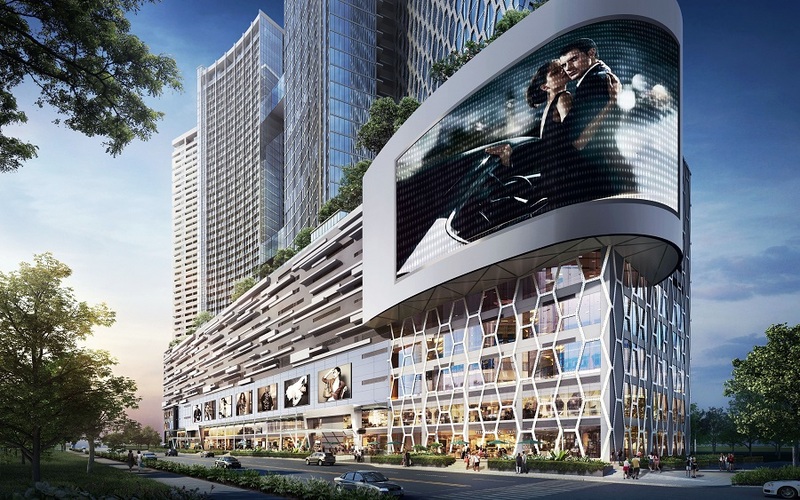 The Bridge is developed by Singapore public listed developer, Oxley International. Capitalize on the First Mover Advantage – Invest in Emerging Cambodia. First of its kind, the Super Tall 45-storey iconic integrated mixed development in Phnom Penh that comes Live, Work & Play in One Building! Attractive Prices from only US$91K! 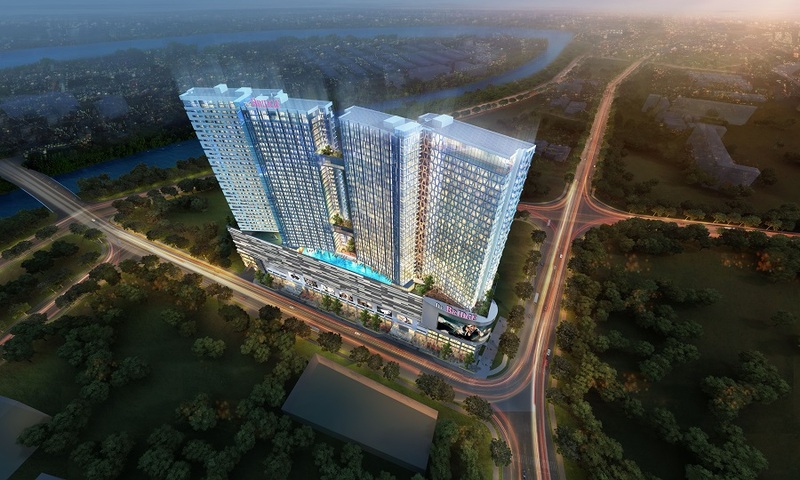 Opposite upcoming Shangri-La Cambodia/Phnom Penh! Invest in Cambodia, one of the fastest growing economies in Asia & in the World with 7% growth per annum. 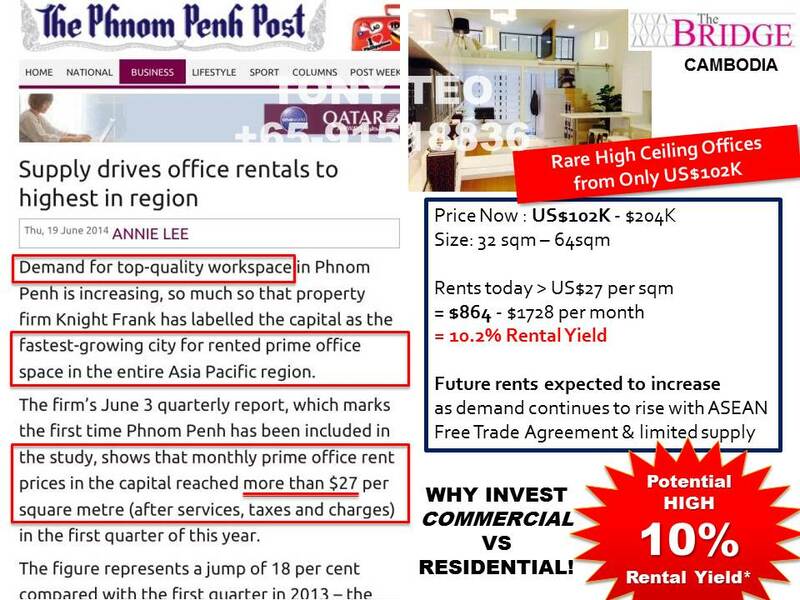 Capitalise on the First Mover Advantage by investing in Phnom Penh real estate, the capital city of fast emerging Cambodia, ahead of the ASEAN Free Trade Agreement in 2015! From only US$100K! 5-Star International hotel chain Shangri-La group and Japanese AEON mall are examples of world-class brands entering Phnom Penh, Cambodia! And they are only a short walk from THE BRIDGE! Invest in the First of Its Kind in Cambodia – The Super Tall Iconic Modern 45-Storey Building that will change the Skyline of Phnom Penh. A Super Luxury Condominium. 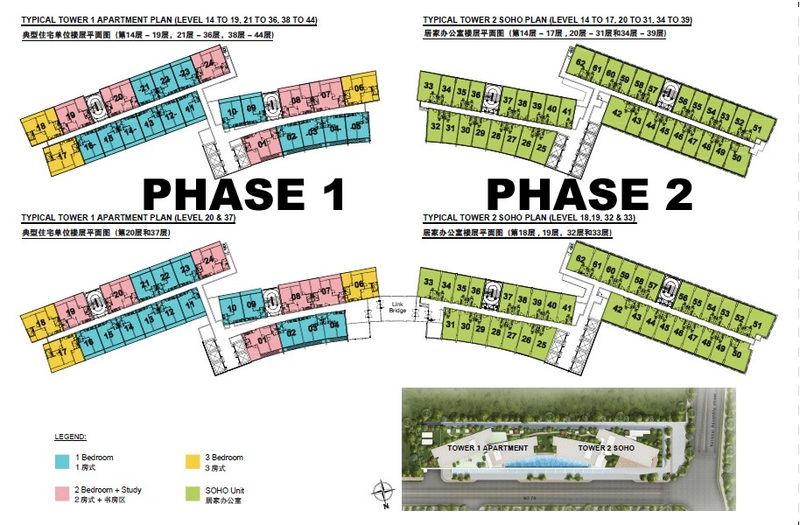 The First Integrated Development with Shops, F&B, Supermarket, Entertainment (possibly a cinema), SOHO/office and Residential Apartments/Condominium, offering the allure & convenience of Work, Live and Play! within the same building. 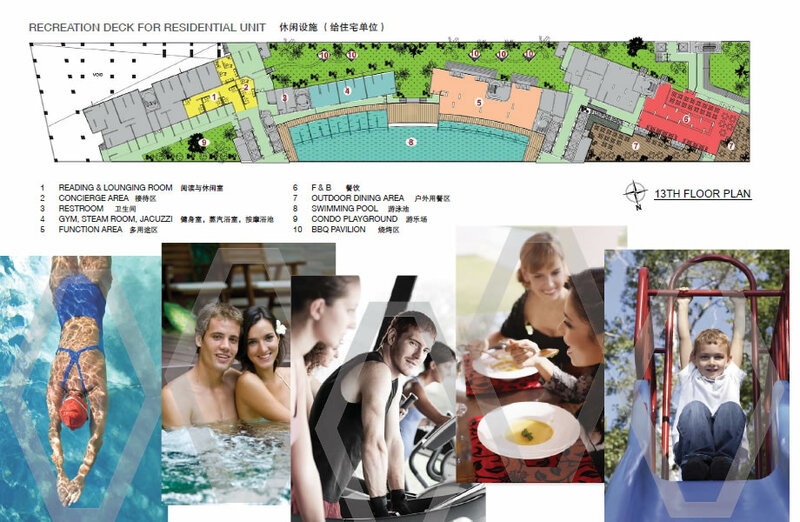 Perfect for the expatriates, foreign businessmen and young rich locals aspiring for a trendy lifestyle. 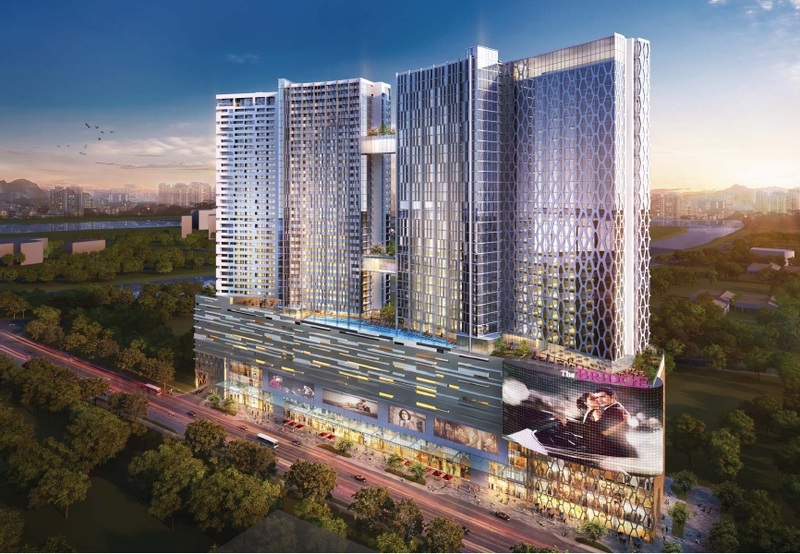 Invest with Peace of Mind, with a quality development that will be delivered by Singapore property stalwart Oxley, a mainboard-listed developer with a good track record. No ABSD, No SSD! Able to sub-sell before TOP/handover via re-assignment! Here you will find everything you need to know about THE BRIDGE @ Phnom Penh, Cambodia. Super Prime Location opposite Shangri-La Hotel. Low Capital Outlay & Deferred Payment. Highly affordable from only US$100K! Posted in Cambodia, Phnom Penh.